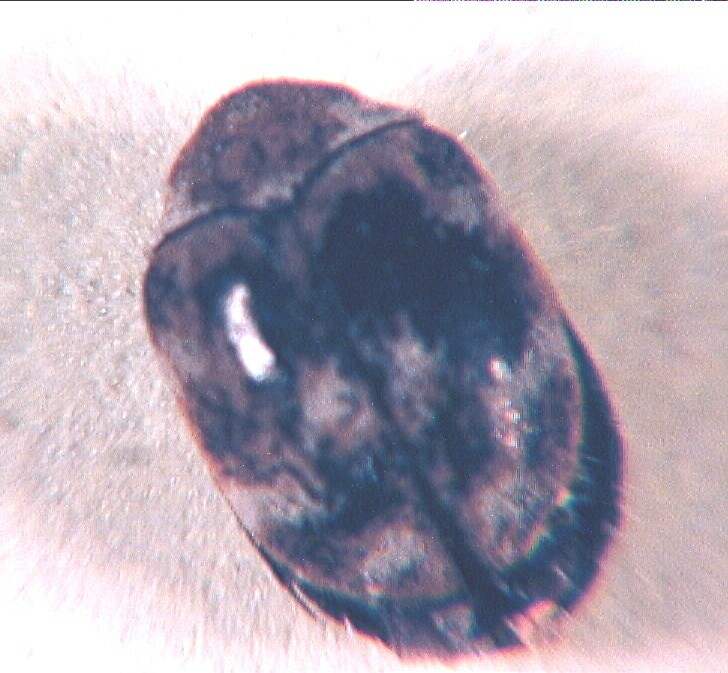 The varied carpet beetle, Anthrenus varbasci, are about 0.7 centimeters (0.3 inches) long. The larvae are a little longer. The larvae are the real distructive agents. They eat hair (wool) insect carapace, and other protein containing particles. Their frass and the damage done to their food source materials is evident by marks left by their grazing.